Mobis Phoebus outgunned KCC Egis to open 2-0 advantage. Mobis Phoebus looked well-organized offensively handing out 25 assists. The best player for the winners was American guard Shannon Shorter (193-89, college: N.Texas) who scored 22 points and 9 rebounds. 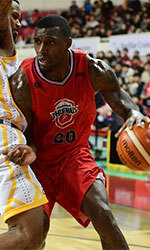 The former international forward Ricardo Ratliffe (203-89, college: Missouri) chipped in 22 points and 6 rebounds. American Brandon Brown (201-85, college: CS San Bernar.) produced 35 points (!!!) and 9 rebounds (was perfect 9-for-9 from the free throw line !!!) 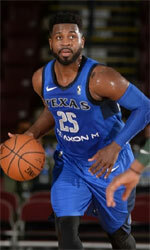 and his fellow American import point guard Marcus Keene (180-95, college: Cent Michigan, agency: Pensack Sports) added 16 points respectively for the guests. Both teams had four players each who scored in double figures. Both coaches used bench players which allowed the starters a little rest for the next games. ET Land rolled past LG Sakers for the second straight win. ET Land Elephants made 25-of-32 free shots (78.1 percent) during the game. 25 personal fouls committed by LG Sakers helped opponents get some easy free throw opportunities. The best player for the winners was American power forward Charles Rhodes (203-85, college: Mississippi St.) who scored 27 points and 7 rebounds. The other American import guard Giddy Potts (188-95, college: MTSU) chipped in 22 points (was perfect 8-for-8 from the free throw line). Four ET Land Elephants players scored in double figures. Central African-American power forward James Mays (205-86, college: Clemson) produced a double-double by scoring 26 points and 11 rebounds and American point guard Joshia Gray (185-93, college: LSU) added 24 points respectively for the guests. The winner was already known earlier in the game, so both coaches allowed to play the bench players saving starting five for next games. Mobis Phoebus gained 2-1 lead in the championship series following a comfortable road win in Game 3. Mobis Phoebus had a 31-15 advantage in offensive rebounds. The best player for the winners was the former international forward Ricardo Ratliffe (203-89, college: Missouri) who had a double-double by scoring 19 points, 18 rebounds and 5 assists. American guard Shannon Shorter (193-89, college: N.Texas) chipped in 16 points, 5 rebounds and 4 assists. Five Mobis Phoebus players scored in double figures. At the other side the best for losing team was American power forward Charles Rhodes (203-85, college: Mississippi St.) who recorded 14 points and 9 rebounds and international forward Sang-Jae Kang (202-94) added 14 points and 10 rebounds (on 6-of-7 shooting from the field) respectively. ET Land coasted past Mobis Phoebus to even the championship series. ET Land Elephants dominated down low during the game scoring 66 of its points in the paint compared to Mobis Phoebus' 42. The best player for the winners was American power forward Charles Rhodes (203-85, college: Mississippi St.) who had a double-double by scoring 31 points and 15 rebounds. International forward Hyo-Geun Jeong (200-93) chipped in 13 points. The former international forward Ricardo Ratliffe (203-89, college: Missouri) produced 14 points and 7 rebounds and American guard Shannon Shorter (193-89, college: N.Texas) added 11 points and 5 assists respectively for the hosts. Four Mobis Phoebus players scored in double figures. Both coaches used bench players which allowed the starters a little rest for the next games.